Mink's Miracle Medicine downright dazzled me the first time around. I've thought about them pretty often since -- chilling in Harper's Ferry in an old camper, sipping moonshine and watching John Brown's failed raid. Seems like a pretty sweet life. But 5 songs was hardly enough and, frankly, the 8 songs on House of Candles are frustratingly short. But it seems like the duet's philosophy is quality over quantity, and holy Hannah is there a lot of quality here. These are definitely some of the most memorable songs I've heard in ages. 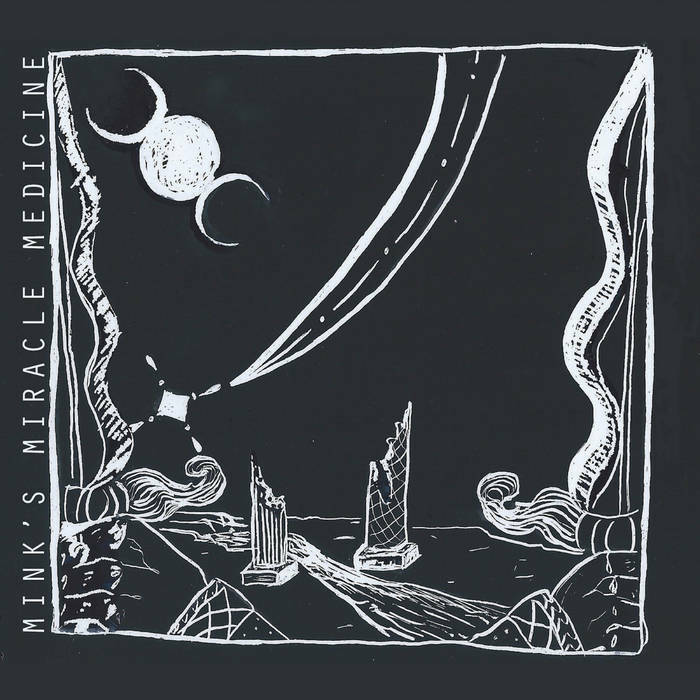 Mink's Miracle Medicine has a preturnatural gift for character studies, and these story songs are downright transporting. Take "The Nashville Song," a stunning, sly portrait of a coddled, would-be Nashville starlet. It's the kind of Tragic Girl song that I hate in most hands, but Melissa Wright and Daniel Zezeski humanize her. "Shirt" has a beautiful twist that drops on the very last line of the song, so I won't spoil it. "Winchester" takes the band into Southern Gothic territory as Wright's full-bodied voice implores the titular implement to help her sleep easy. But it's the closing song, "Standing Behind," which poignantly describes the passing of the torch from one generation to the next that gets me.